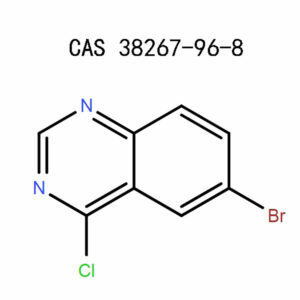 If you are looking to buy high-quality chemical products, then look no further. 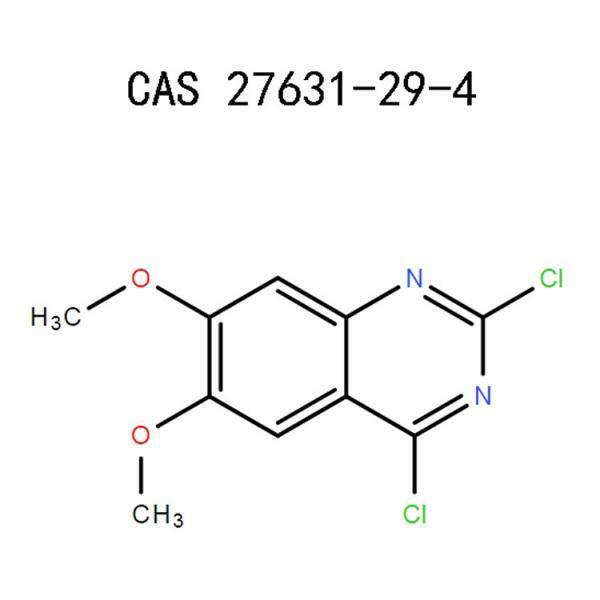 APICMO is a pharmaceutical manufacturing company that produces a broad range of chemical products including 2,4-Dichloro-6,7-dimethoxy-quinazoline(27631-29-4). All our products comply with the Common Good Manufacturing Practice (CGMP) and other manufacturing regulations. We not only guarantee you premium quality but a competitive price too. It is a crystalline powder that is pale yellow to beige. 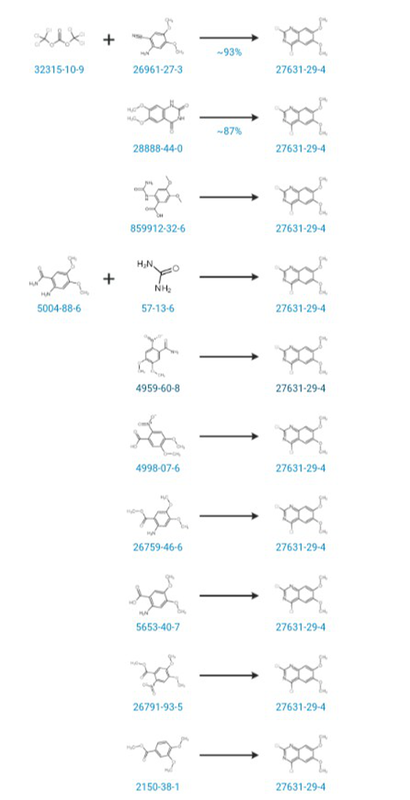 During the preparation of Kinases which is an epidermal growth inhibitor, 2,4-Dichloro-6,7-dimethy-quinazoline (27631-29-4) acts a reaction intermediary. 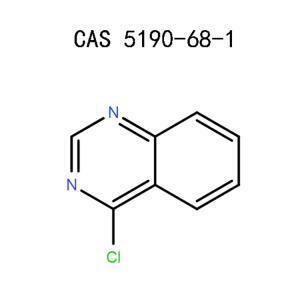 It acts as a reaction intermediate in the preparation of Terazosin (T105000).Terazosin improves urination in men with benign prostatic hyperplasia.It is used to treat hypertension too. 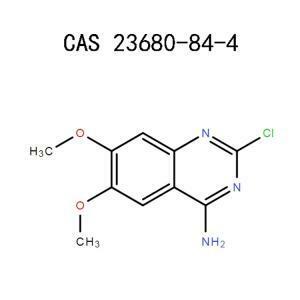 It is used for Abbreviated New Drug Application filing to FDA as well as for Quality Control (QC), toxicity studies and other analytical studies during commercial production of Prazosin. If inhaled it may cause respiratory irritation which might be symptomized by a dry or wet cough, chest pain, breath shortness, burning of the nose. It causes skin and mucous membrane irritation when it comes into contact with it. Its symptoms might be; cracked skin, swelling of the skin, Burning or itching and reddening of the skin. It causes severe eye irritation once it splashes to your eyes. Its symptomsarethe inability to open the eyes, eyes swelling, eye tearing, pain,and blurred vision. Safety glasses or splash goggles to protect your eyes or face from any splashes that may occur during your operations. Wear them as described by European Standard EN166 or OSHA’s eye and face protection regulations in 29 CFR 1910.133. Protective gloves that are impervious to protect your hands. They should be of high quality. Make sure that you inspect them before using to see if there is any tear to prevent the chemical permeation. Always remove the gloves without touching the outer surface and clean them before reusing them. Respiratory protection to protect yourself from inhaling the substance. It is however not needed under normal use conditions. The type of operations youundertake will determine whether you use the respirators. Wear protective garments,i.e., aprons, shoes to prevent skin exposure. Always clean them before disposing or wearing again. Ensure that the ventilation in the workstation is sufficient. It could be through the installation of local ventilation systems especially in the confined spaces. Doing so will help contain the gases produced during the operations. Make sure that the safety showers and eyewash stations are close to the station of work to provide on-the-spot decontamination in the event of an accident. Safety showers are essential for putting off clothing fires and cleaning substances off clothing. Ensure that there are chemical fume hoods that are functioning correctly and have an average face velocity of a minimum of 100 feet per minute. If inhaled, get the victim away from the exposure and make him/her lie down. Ensure that the area has fresh air and the victim is in a position that he/she can breathe comfortably. If not breathing, administer oxygen and seek the attention of a doctor immediately. In case of ingestion, clean the mouth with plenty of water. Do not try giving an unconscious victim anything through the mouth. Seek the advice of a physician. If the substance gets to your skin, wash it off immediately with soap and running water while getting off any contaminated clothes and shoes. See a doctor. If the substance splashes to your eyes, rinse immediately with a lot of water. If you are in any contact lenses, remove them if it is safe and easy to do so. Do not forget to rinse under both eyelids for a minimum of 15 minutes. If irritation persists, get medical attention. Keep away from beverages, feed,and foodstuff as it might lead to poisoning. Avoid contact with the eyes and do not breathe the substance due to its irritating effect. Ensure that you clean your hands before taking any break and at the end of the day at work. Ensure that there is proper ventilation in the workstation. Wear all your protective equipment to protect yourself from exposure. Before undertaking any operation ensure that you have a safety shower, spillage equipment, eye station,andfirst aid equipment not more than 10 meters away from you for a fast emergency response. Make sure all containers are well-labeled for easier identification and to prevent you from mixing with incompatible substances. Clean your hands after using the substance. Remove all contaminated clothing and boots and clean them immediately before wearing them or discarding. It should be thorough and give the garments enough time to ventilate. Clean the work surface to ensure that there are no spills left hence leading to a reaction. Dispose of all containers properly. Keep all the containers closed tightly to prevent from spilling. Store the chemical safely after use. Leave the chemical in its well-labeled original container for identification. Place it in a dry, cool with sufficient ventilation and far from incompatible substances. It will help prevent an accident from happening. Comply with all rules regarding good hygiene, personal protection and handling of chemicals. Keep the container tightly locked with a suitable cap. Store the substance in a cool place that is dry and make sure that there is enough ventilation in the workplace to reduce accumulation of fumes. Keep the chemical away from sources of ignition because it is flammable. Ensure that you clean your hands before breaks and before visiting the lavatory. Ensure that there are no chemical spills and if any scoop them and clean the area. Store the chemical away from oxidizing agents. Store in well-sealed containers and place in cool and dry conditions. Ensure that the containers do not get in the hands of untrained or unauthorized personnel. While cleaning or collecting spilled substance, ensure that there is sufficient ventilation to reduce accumulation of dust. Scoop it all and place it in disposal containers ready for discarding. Extinguish more massive fires using alcohol-resistant foam or water spray. When combustion occurs the following hazardous products are produced; Hydrogen chloride gas, Nitrogen oxides (NOX), Carbon monoxide (CO), Carbon dioxide (CO2). You should, therefore,use a breathing apparatus that is self-contained and a fully protective impervious gear. 2,4-Dichloro-6,7-dimethy-quinazoline (27631-29-4) reacts with oxidizingagents. It decomposes to produce; Nitrogen Oxides, Carbon monoxide and Carbon dioxide and Nitrogen oxides. It is highly flammable. Chemical waste generators must determine if the waste you want to dispose ofhas been classifiedas a hazard. They should also ensure it is disposed ofaccording to local, state or federal regulations. The product is safe to transport by air or by road. Whether you need it in milligrams or kilograms, we are here for you. Contact our customer care desktoday and get to experience our extraordinary service. National Centre For Biotechnology Information, US. National Library of Medicine, Pubchem, 4,4-Difluorocyclohexanone, Sections 1-8.